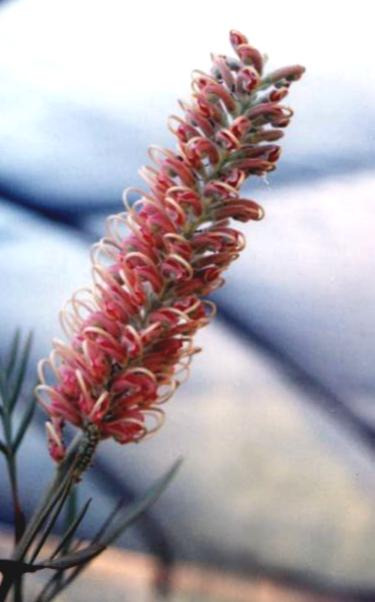 Medium tall ornamental shrub with large pink & cream flowers most of the year and grey fern-like leaves. Prefers well-drained light or heavy soils in full sun position. Tolerant of moderate frost and extended dry periods once established. Good cut flower and speciman shrub. Attracts hummingbrds..